All politics are local so get out and make your voice heard in municipal elections across the county. While we don't endorse in nonpartisan elections, we do insist all Democrats make an informed vote EVERY election. 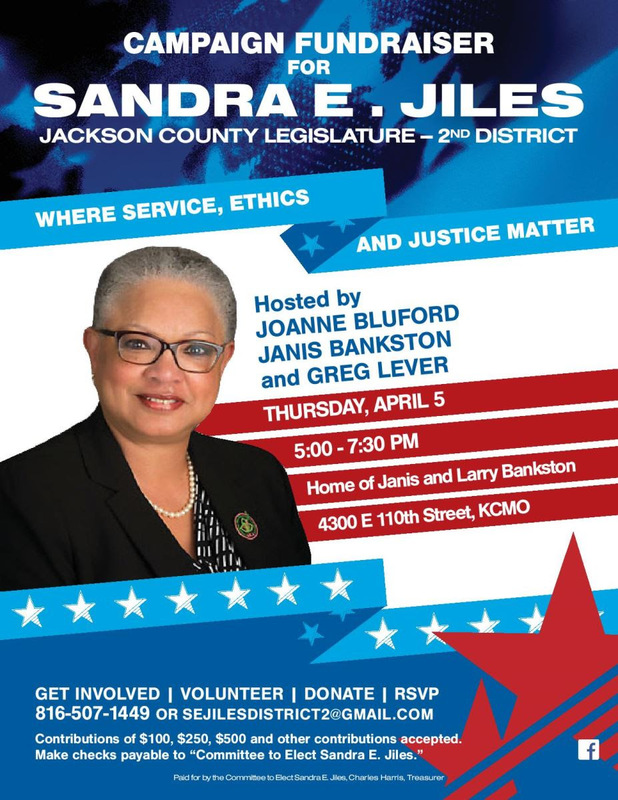 If you haven't already, you can see what's on your ballot HERE for Kansas City and HERE for other cities in Jackson County. Last Wednesday I was also proud to stand with my Union sisters, brothers, and supporters at the MO AFL-CIO's Rally for the Middle Class on the grounds of our beautiful Capitol building. That picture is a selfie taken by my colleague Rep. Barbara Washington as we Reps. stood on the stage at the rally. As you may recall back in January of 2017 the legislature passed SB 19, a right to work law that prohibited companies and unions from negotiating labor agreements that required all employees pay union dues or agency fees as a condition of employment. This is called a "security clause" and keep in mind that companies and unions must mutually agree to it. SB 19 even makes it a crime for companies and unions to negotiate such a security clause in their negotiated agreements. In addition, all union members are protected by the collective bargaining agreement even if they don't pay union dues or agency fees. That's the law of the land in the U.S. So, the unions decided to fight back! In August 2017 they turned in over 310,000 signatures (more than three times the number needed) to put repeal of the wrongheaded right to work law on the ballot and let the people of our state decide this issue. Kudos to organized labor for the amazing work they did in collecting enough qualifying signatures from all 8 Congressional districts and they came from all 114 MO counties. What an awesome accomplishment! We'll be voting on Missouri Proposition A in November, unless the legislature votes to move it to the August 2018 primary ballot. Missouri Proposition A asks voters if they want to adopt Senate Bill 19 (the Right to Work law). 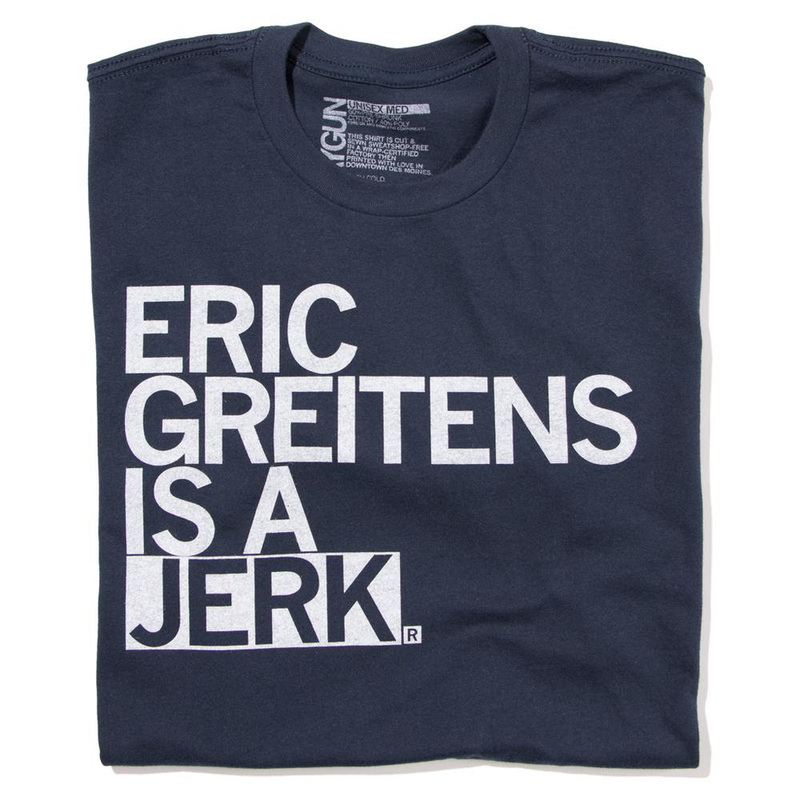 A "no" vote would repeal the right to work law and a "yes" vote would allow MO to become a right to work state. Our own U.S. Senator Claire McCaskill spoke at the Rally for the Middle Class. 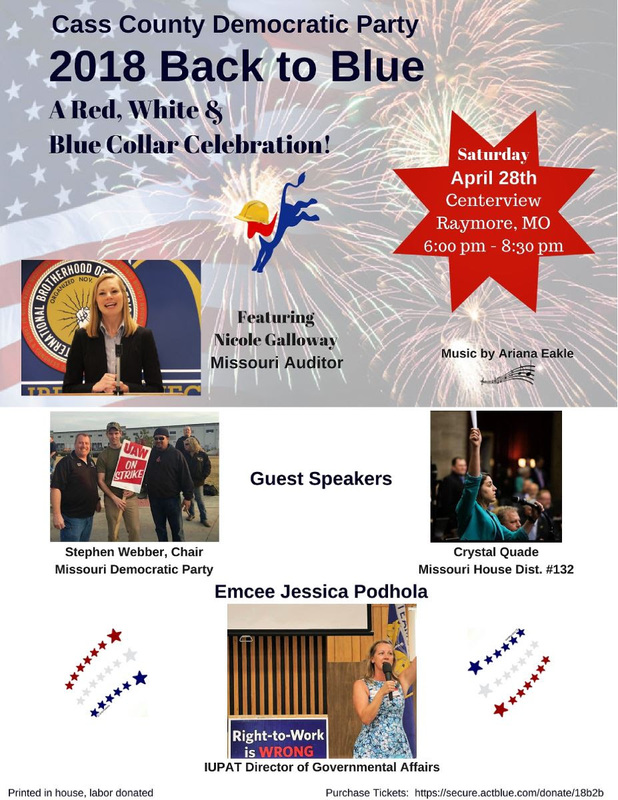 She called it "a day that we're going to take a stand for Missourians. . .to call out fake populists. . a guy with an Ivy League education that rides into office on the back of one of the richest men in Missouri, who has made his life's work to destroy labor unions in the state of Missouri." (From the Jefferson City News Tribune - 3/29/18). I'll bet that Claire was talking about Josh Hawley, her likely opponent in the November 2018 election. As quoted in that same article, Claire said, "It is a very simple principle - that men and women can join together and collectively have a voice in their wages and their benefits." I agree wholeheartedly with her. I'll be casting a no vote on Missouri Proposition A and hope that you'll join me in voting no too! The last special election of 2018 is a big one: Senate District 17 in Clay County. This is a slightly left leaning district that has been won by a moderate Republican the last two elections that we are ready to win back. Our candidate, Rep. Lauren Arthur, has already been working her hardest to quickly raise money, expand her connections across the district, and organize supporters for this short but critically important campaign. Jackson County Democrats need to send our help north of the river. Join us Wednesday April 4 at UAW Local 249 (8040 US 69 Hwy. 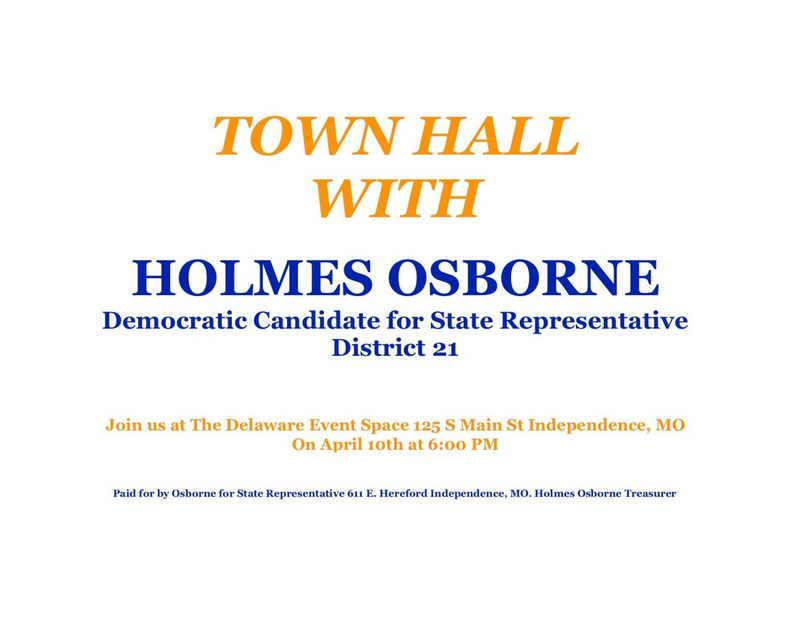 Pleasant Valley, MO 64068) for phone banking and canvassing from 8:00am to 7:00pm. 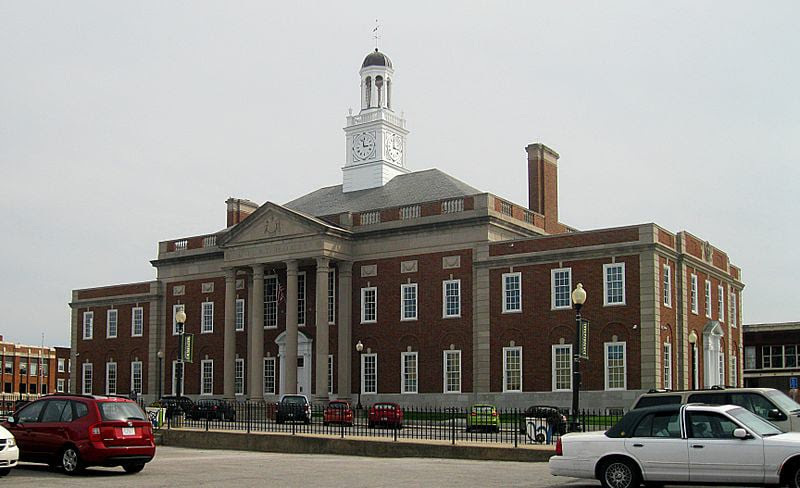 There will be a rally from 5:00-7:00pm featuring the candidate and MDP Chairman Stephen Webber. Heartland Alliance for Progress: Monthly meeting April 9th, 5:30-7:00pm at Californos (4124 Pennsylvania KCMO 64111). Topic: "How KCMO's Budget Addresses Constituent Needs" featuring Councilwomen Alissia Canady and Teresa Loar. April 4th. We'll See You There! Please join us as we are kicking off an exciting new year of our E. Jackson County PAG events. Our first event will feature State Representative candidate Keri Ingle who is running in the 35th district. Also Jalen Anderson who is running for 1st District At Large for the Jackson County Legislature. We will have information for volunteer opportunities for these campaigns and also for Hillary Shields 8th Senatorial District. 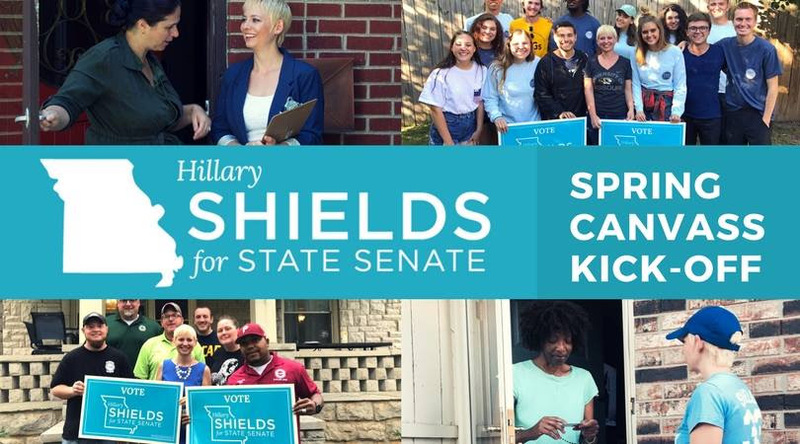 Hillary Shields for State Senate is kicking off their Spring Canvass and Volunteer training this Saturday, April 7th at 9:30 AM. We will be knocking doors, making phone calls and writing postcards to supporters and voters! Please sign up for the shift(s) you are able to attend so we know how many packets to prepare. Please plan to arrive 30 minutes prior to your shift for the initial training for 2018.